What could a strategic leader learn from Kranz? 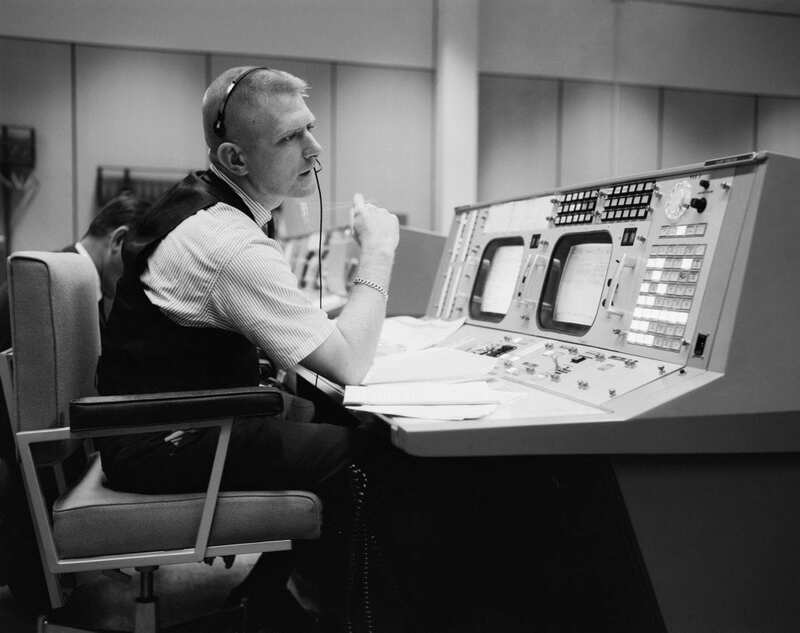 Well, many things – but there are four main lessons to take away from Kranz’s autobiography: Failure is Not an Option: Mission Control From Mercury to Apollo 13 and Beyond. From his early days as a Procedures Officer in NASA, Kranz was responsible for creating mission plans and contingencies from the ground up. There was nothing to build on, and nobody to hold his hand or show him the way. He was responsible for critical duties, everything from writing mission rules to organizing the dozen remote tracking stations that would communicate with the capsule as it circled the earth. He and his crew were facing failure and disaster on a daily basis. But with nothing to go on, he just got to work. He found smart people to help him, spent all of his free time educating himself and wasn’t afraid to make decisions. If you’re truly pushing yourself as a strategic leader, there are going to be times when you’re off the edge of the map and have to find your way. That’s a good thing – it means you’re not just spinning your wheels. Don’t shy away from that feeling. Take it as an opportunity to grow as a strategic leader and learn from the challenge. Seek out help. Make decisions. If you’re too comfortable in your current role, then you’re not getting any better. It was a rare flight that went smoothly for mission control, and almost every single mission had its fair share of challenges and emergencies. Yet with each one, there was no panic. During the flight of Apollo 13, Kranz’s famous quote, “Let’s work the problem, people. Let’s not make things worse by guessing,” was the perfect response to seemingly insurmountable odds. As Kranz and his team demonstrated so many times, when things go wrong, you have to slow down and carefully evaluate all of your options. Reactionary planning is not planning at all, and understanding a problem is the first step to overcoming it. You have to assess what your resources are, determine your potential plan and settle on a route. Once you’ve made that choice, don’t second-guess yourself. You solve one problem, then another, and then another until you’re back on track. Kranz and his team didn’t waste any time fretting or agonizing – like true steely-eyed missile men, they just got to it. When you run into trouble, don’t submit to overwhelm. Take a deep breath, find one small corner of the problem to start with, and work from there. This is a lot of responsibility to accept when the lives of three men – and the hopes and dreams of the American people – are riding on your mission’s success. But if you don’t trust your team, then they won’t trust you. If they don’t feel like you have their back, then they won’t feel like they’re able to take risks. They won’t stick their necks out, and they won’t put their faith in an organization that doesn’t put its faith in them. As a strategic leader, you can’t do everything yourself. You have to have absolute confidence that your people – superiors, subordinates and peers alike – can do their jobs, or your organization will never achieve its goals. Being tough means taking personal ownership of your work, and working with the understanding that you’re responsible for the outcome. It means you’re not just going through the motions, assuming someone else will pick up the slack or hope things will just magically work out. You can’t leave your organization’s success to the roll of the dice – it’s your job to make it so. Being competent means that you have an obligation to know your field, organization and challenges inside and out. It doesn’t mean being the best strategic leader in the world – it means being the very best strategic leader that you are capable of being. That means learning everything you can, never shying away from a challenge, and never becoming complacent. It means constant growth and always being a better than you were yesterday. Kranz is not revered as he is because of a few pithy words and grand ideals. The basic idea of the lessons we’ve discussed – push yourself, seek out challenges, trust your team, work hard – could be found on the back of a cereal box. It’s easy to recognize these ideals as good and put them into practice when they’re convenient, but where Kranz truly stood out was in his ability to stick to them when times were tough. He watched rockets blow up, he had major clashes with other NASA leaders, he saw good friends die – but he never wavered. If you truly want to implement these ideals in your own work, don’t just read this article and move on. Bookmark it and come back to it, or, better yet, pick up Kranz’s book and see for yourself what a model strategic leader looks like in action. Look closely at how he handled the merciless perils of human spaceflight. It won’t transform you into the next great American hero, but we guarantee it will change your outlook on what it truly means to be a great strategic leader. On top of picking up Kranz’s book, you can become a stronger strategic planner by participating in our Strategic Management Performance System online course! Learn more about how completing the course can give you an edge in your career here.